Do you remember the classic Folgers Coffee commercial called, “Peter Comes Home for Christmas.” (Watch it here.) I loved this commercial growing up and it was on every Christmas. In it, Peter makes his way home on Christmas and surprises everyone. It’s clear that no one expected him and yet there he was. And he made coffee. The commercial is a little idyllic. I wonder if Peter’s parents prepared for him to come home? They weren’t expecting him and were happy he was there, but were they ready for him to come home? If they didn’t expect him to come home, I bet they didn’t do anything to prepare. The question today’s gospel asks us is this – do we believe that God is coming to be near to us? Do we really expect God to come? If not, then nothing in our lives has to change. We don’t have to change anything about how we live or what we do day to day if we don’t expect God to come. The message of the gospel on this the first Sunday of Advent, is that God is coming. God will return to his people. God is on his way and we should prepare, be ready, and be alert to his return. The key we can’t expect to know when God is coming, but we can be certain that God is coming. If we believe that God is coming, what are we willing to do about it? How do we stay alert and ready? Jesus’ key word is “watch.” We have to look for God. My dad would say that we must keep our “eyes pealed.” We must look for God’s coming to us with the eyes of our heart. 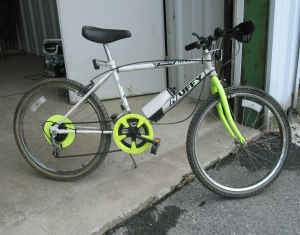 One Christmas I received an amazing gift – a Huffy White-Heat Bike. It was rad. (Okay, the year was 1991. Totally rad.) That year I road my new bike everywhere. My neighborhood was my domain. That summer I road my bike to Aaron’s house for wiffle ball, to Jason’s house to play the original Nintendo, and to swim practice nearly every morning. Short of a few rainy days, I think I road my bike everyday. The three servants in the gospel reading for this weekend are also given a gift. Each is given a sum of money. The first two servants take that money, and through investment, make back more money then they started with. The third servant is afraid of the master, so he digs a hole and hides his gift. Why is the master so upset with the last servant when he comes home? The third servant doesn’t really use the gift he is given. The third servant doesn’t take full advantage of the incredible generosity of the master. The third servant acts out of fear and hides his gift. 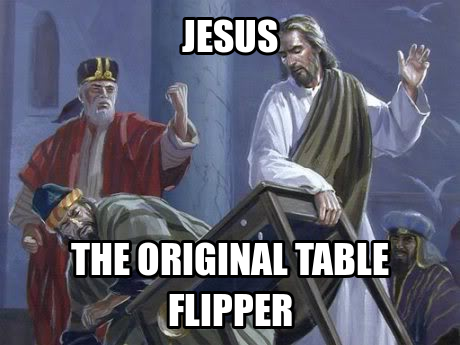 By not using the gift he is given, it’s as if the third servant doesn’t really accept the gift at all.